Best Available Rate Why book with us? No Booking Fees We don't charge any booking fees for making reservations directly with us. Online Reservation Guarantee By securing your direct online reservation with a credit card we guarantee your room. Best Price Guarantee We're sure the best prices for our hotels are found on our websites. Credit Card Safety Our secure server software (SSL) is the industry standard offering a secure e-commerce transaction. 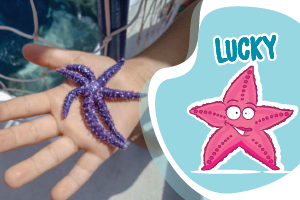 Discover our mascotes and have fun at our Bathing Complex! Hello! I’m Lucky. I live in Lido Galomar and I’m an ocean protector. Did you know that every object you bring to the bathing complex, like bottles, packages and plastics can pollute the ocean and affect all the marine life? Be aware and don’t forget, use only the essential. Reducing is the first step to help the environment! Welcome to my home! 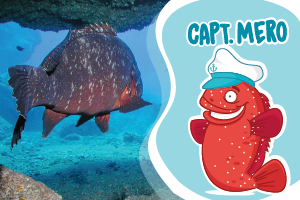 I’m captain Mero and I live in the underwater nature reserve. Here everyone knows me and every day I welcome the visiting divers. My Galomar friends, Luís, Carlos and Alexandre have a very important mission, keeping the Lido Clean! You can also help them! How? Learn to reuse! Choose fabric bags and transform old plastic products in new music instruments! Reusing is a lot of fun! Help the environment and our Lido! 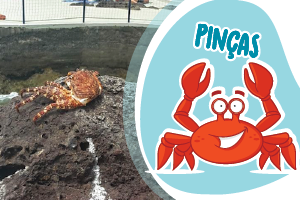 Attention, I’m Pinchers, the Crab, and I watch the coastline side by side. Often, I find straws and garbage that children and their parents accidentally leave behind and end heading the rocks. So, I asked the lifeguards to put 3 garbage bins to help you sort and prepare waste for recycling, giving them a new life and keeping them from heading the Ocean. Recycling is so important! Help the environment and our Lido!